In the old days, getting told you needed braces was akin to being put in social purgatory. The braces were big, clunky, and unappealing, filling your mouth with metal and making it difficult to speak and eat. Over time, metal braces have gotten more subtle and attractive and a new exciting orthodontic option has sprung onto the scene. Invisalign braces are a great orthodontic solution, helping to straighten and fix your teeth while being essentially invisible to the casual observer. However, Invisalign isn’t for everyone, as there are certain people who still should opt for traditional metal braces. So is Invisalign right for you? Age plays a role in whether Invisalign is right for you or not. In general, younger patients with teeth that are still growing and developing are usually a poor candidate for Invisalign. Invisalign is usually only reserved for individuals with teeth that are done growing, such as older teens and adults. What Orthodontic Issues Can Invisalign Fix? The technology behind Invisalign has improved to the point that it can address just about any issue. Invisalign, in most cases, can resolve all of the issues listed below. Are Your Orthodontic Issues Severe? While Invisalign can fix most of the different types of orthodontic issues, it is unable to address every level of severity of those issues. 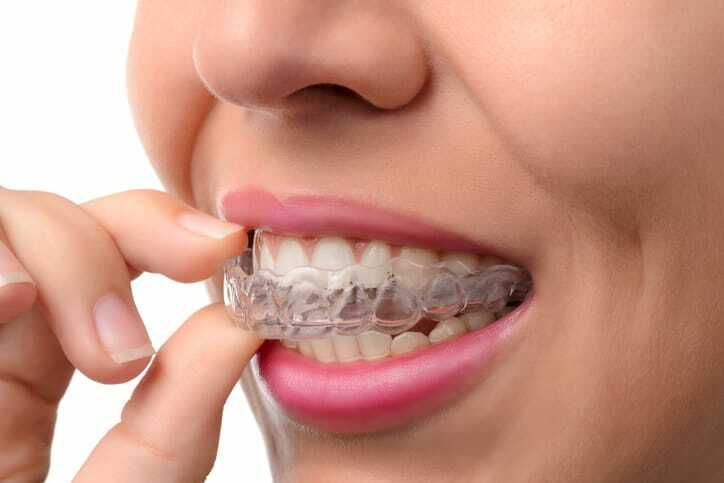 If you have severe problems with the alignment of your teeth or your bite, you will likely require metal braces instead of Invisalign. With metal braces, the onus is taken off of you. The braces are attached to your teeth, so aside from poor hygiene there is very little you can do to screw things up. With Invisalign, that is not the case, as you can remove the invisible braces whenever you want. This puts you at risk of losing it or not wearing your Invisalign long enough to see results. In order to achieve your desired results, you need to wear Invisalign for at least 20 hours each and every day. If you are prone to losing things or are not good at remembering to accomplish necessary tasks, Invisalign probably is not a good option for you. If you have determined that Invisalign is right for you, University Dental can help. We have the best orthodontists in San Diego, providing our patients with unparalleled care and amazing results. If you come into our office for a consultation, we can help you determine whether Invisalign or metal braces is the best option to address your orthodontic issues. To learn more or to schedule a consultation, contact University Dental today. Give us a call at (619) 473-2565.